Silence of the Lambs Week Continues! As I discussed before, focusing your story on a rookie has benefits and liabilities. On the one hand, we’ll identify more with the hero, since we, too, have just jumped up to our neck into this world—She needs to hear a lot of the same exposition that we need to hear, so sitting on her shoulder is a good place for us to be. She’ll also be more of an underdog, and less powerful, increasing our fear for her, and making it more of a triumph if she succeeds. But, on the other hand, it’s easy for an audience to get exasperated with a rookie. We always want to root for the person who’s most qualified to solve the problem-- if she has a smarter boss, why aren’t we rooting for him? And how can we agonize over her decisions if she’s not the one with the final decision-making power? The more high-stakes things get, the more likely it is that she’ll have to simply hand-off the problem, which would be a huge anti-climax. Why send a rookie to talk to Lecter? He’ll only talk one-on-one, won’t talk to Crawford anymore, and has a weakness for pretty young women. Besides, it’s just a longshot—they don’t seriously suspect that he knows anything about Buffalo Bill. But what about once the FBI knows that Lecter knows something? It’s too late to sub out a full-fledged agent, because Lecter has unexpectedly formed a bond with Clarice. Now they have to trust the rookie with this huge responsibility. But what about after the big escalation, when Bill takes a Senator’s daughter, surely they won’t leave a rookie in charge now? Indeed, they take her off the case, and Lecter gives a name to the Senator, but only Clarice realizes that it’s a fake, so now she’s effectively leading the investigation. Finally, the big question for any thriller: why does she go into the finale alone with no back-up? Because she had no idea he might be there—she thought she just was going to interview a potential witness. Why are we sure her boss isn’t going to bring the cavalry? Because he and the main team are two states away following a false lead. To be fair, in this case, it's almost entirely Thomas Harris who anticipated and then answered those questions. Ted Tally just kind of got out of the way. Harris wrote at least one other really great thriller called RED DRAGON, the prequel to SOTL, which was made into another very good film by Michael Mann called MANHUNTER. What else has Tally done? A few plays of no note, a handful of bland literary adaptations, producer of Brian De Palma's worst movie and screenwriter for the the travesty of Brett Ratner's craptastic remake of RED DRAGON. 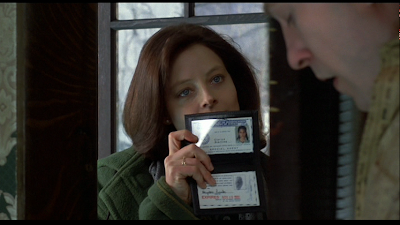 Clarice is a great example of a protagonist who is the best and only person in the world who can solve the problem. She has the combination of intelligence and detective skills to solve it, plus the look and personality to befriend Lecter and get the required info. Thanks for letting me know that the problem with seeing the table in the first post in this series was a problem with Firefox. I tried again with Chrome and was able to read it with no problem. Well worth the effort!